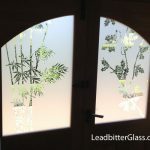 The Leadbitter Glass Studio designs, manufactures and delivers bespoke decorative glass panels for windows and doors to any home or business in the UK. We have created decorative glass for Mr & Mrs Bateman from Paisley and front door glass for Paddington Bear from Windsor Gardens in Notting Hill. We have created glass for the world famous Liberty Store Of London and internal door glass for Mr Mullarkey from Peebles in Scotland and all of our customers receive the same high quality service – no matter who you are. The vast majority of the glass we create is for the homeowner but we also supply businesses, movie studios, Prime Ministers and Rolling Stones from time to time. We create all decorative glass in-house and all glass panels can be created in single glazed, double glazed or even triple glazed format. 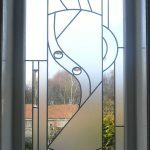 Customers can choose a design from our website, they can supply their own design, we can create ‘copies’ of the original glass in the home or we can create a new original design for you. Our studio manufactures stunning decorative glass panels using toughened safety glass, laminated glass or even energy saving glass that conforms to all building and safety regulations. Our vast Galleries contain over 1000 beautiful decorative glass designs to help you choose but as mentioned, we can also create glass panels from your own photos or your own drawings. 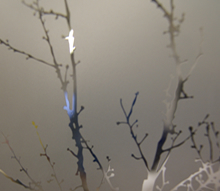 Every year we receive many orders from clients around the UK requesting decorative glass panels based on their own ideas and tastes and because everything we create is made from scratch, bespoke work is one of the more popular requests received by the studio. 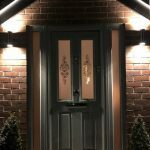 Leadbitter Glass is passionate about helping keep Britain ‘Great’ so whenever and wherever it is possible for us to do so, we always buy British made products and services from our suppliers. Almost all of the materials we purchase to create our glass panels are manufactured in the UK and most of our larger machinery is also British made. 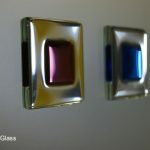 Some of our materials used in the manufacture of decorative glass had previously been supplied by companies abroad but we have invested a lot of time and money to enable these materials to either be supplied by British companies or even manufactured by our own studio in Corby, Northamptonshire. 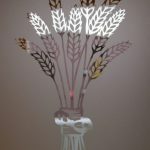 Established in 1994 the Leadbitter Glass studio of Kettering in Northamptonshire was launched. In the early days we supplied window and door manufacturers with decorative glass but in recent years we have opened up our business to national and international orders and the vast majority of the work we now undertake is ordered directly by the homeowner. A lot of our door orders come from customers that are fed up of looking at the same old composite door brochures with the same old designs. We also get a lot of orders from clients looking to renovate an old feature window or door. 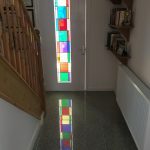 We do not just supply glass to homes in England, we also supply stained glass, etched glass fused glass and bevelled glass to homes in all areas of Scotland, Wales, Ireland and Northern Ireland. We have invested heavily in state of the art machinery, stained glass software and services to develop the way our company runs. We own our industrial unit in Northamptonshire and the premises was originally built by the glass manufacturer Pilkingtons. 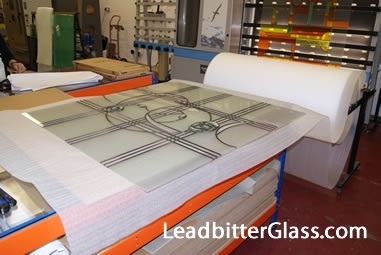 Every single job created by Leadbitter Glass is designed on state of the art computer software first to ensure accuracy and manufacturability, then each job is saved into our archive for future possible additions. All of the glass we manufacture is delivered by us or packaged professionally and sent by specialist courier ensuring that the product reaches you in the same high quality that it did when it left our Decorative Glass Studio. 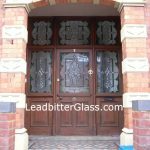 The Leadbitter Glass website is probably the worlds largest decorative glass website and it contains more quality and original decorative glass designs than any site on the internet so choosing your glass design couldn’t be easier. The aim of this website is to help you – the customer choose the product and design that is right for you in the comfort of your own home. 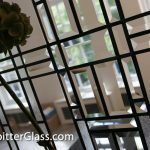 If any of the decorative glass designs are not perfect for you, we can provide you with your very own web page to view alternative designs from our extensive library. To find out more about this service click here. 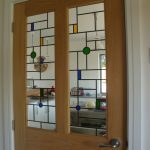 We also offer other great services to our customers such as our design service which ensures that you get to see your actual glass design in your sizes before it is made. Our Executive Service is the perfect choice for large renovation/building projects and by having one of our glass designers on site with you enables us to get a great feel for what you are trying to achieve with your glass project. 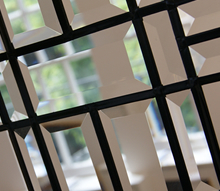 We even offer an on-site service so we can create beautiful decorative glass designs using your existing glass. This service is tailored to the larger commercial projects due to the costs involved. 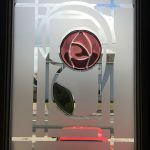 The Leadbitter Glass studio manufactures and delivers bespoke Decorative Overlay Stained Glass, Sandblasted Glass / Etched Glass, coloured etched glass, Fused Glass and Bevelled Glass for feature windows and doors to all areas of the UK. 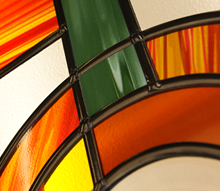 Decorative Glass, Bevelled Glass and Stained Glass supplied to all areas of Scotland, Ireland, Northern Ireland & Wales.